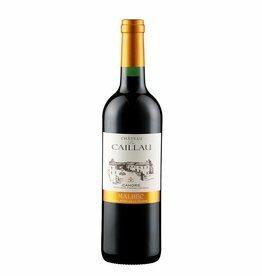 Château du Caillau has belonged to the Bernede family since 1993, who own a second property for generations, the well known Clos la Coutale. On the 10 hectares of south-west facing terraces, first-class Malbec is produced in the AOC Cahors. Philippe Bernede understands how to soften the wild charakter of the Cahors wines and produces a modern red wine with a fine structure, as is the standard of the region's top producers. Nevertheless, these wines are also very long lived, as expected from a Cahors. You get a lot of character for little money here.